We love eggs around here, and since we have started buying farm fresh eggs, we have increased the amount we eat. 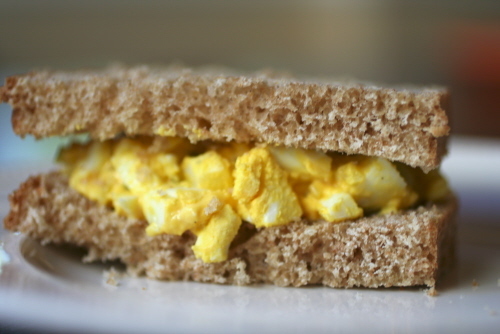 I am always looking for more ways to eat them, and I love homemade egg salad on homemade whole wheat bread. Yum. Egg salad is a great easy, starter recipe for kids. 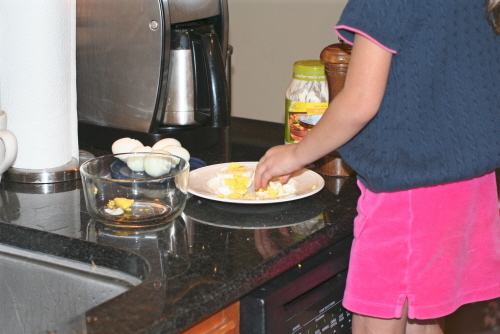 I had my daughter use a butter knife to cut the eggs up. It took her a while, but she worked diligently and it kept her attention. She was so excited that she made this egg salad recipe all by herself. Chill thoroughly and spread on your favorite bread or crackers. 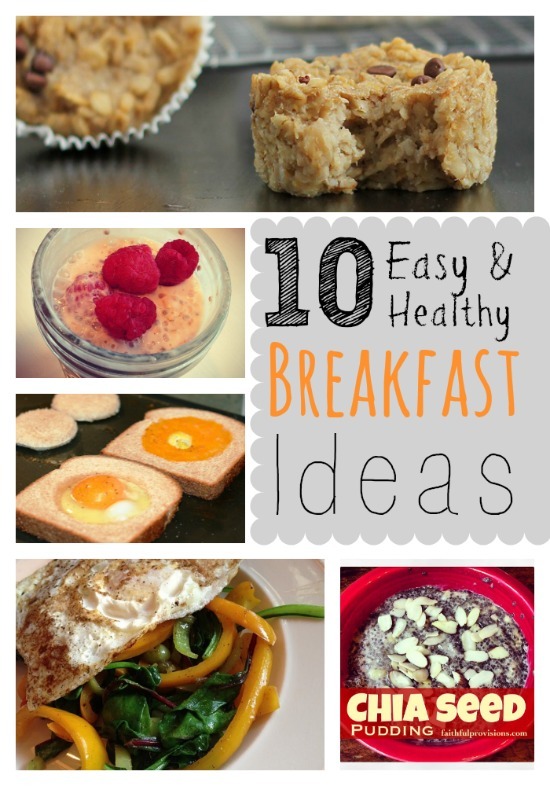 Just curious…where do you buy farm fresh eggs? me too.. we were getting them in Spring Hill but they stopped having them.. would live to find a new place! Iraq is thought to hafe been arresdted in the attacks, allstate blue blog along with Microsoft’s Windows.